The Wainman backpack is a quality affair and is very well thought out, with everything having a place. The Smoke is a low aspect delta kite with a moderate diameter leading edge and three struts. 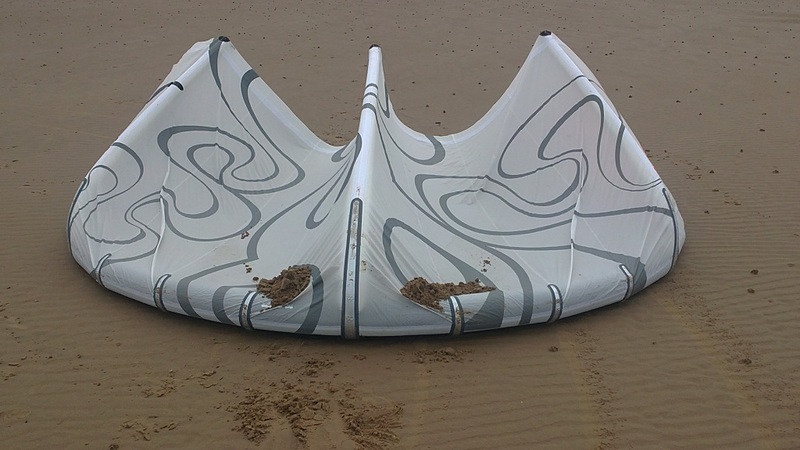 Unlike most modern kites it doesn't come with a one-pump system, but its quick to get out on the water due to the very good one way valves which ensure your kite is ready to fly in a matter of minutes. Most of the canopy is in lightweight fabric, with heavier duty dacron on the wingtips and scuff guards along the full length of the LE and on the main wear areas of the struts. 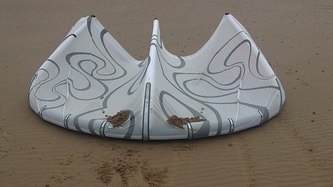 The smoke is a dream kite for anyone who likes to tinker with the setup, as it has loads of connection options for both front and rear lines, and the small bridle can even be removed for a more direct feel. 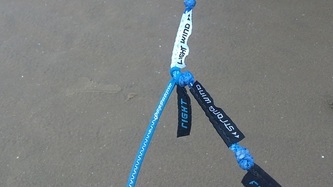 Every setting on the kite and lines comes with a handy little label - it reminds me of the 80's TV series Batman! The Wainman bar is very well thought out - a moderately high diameter alloy bar with good grip and a push-away release just above the medium sized chicken loop. 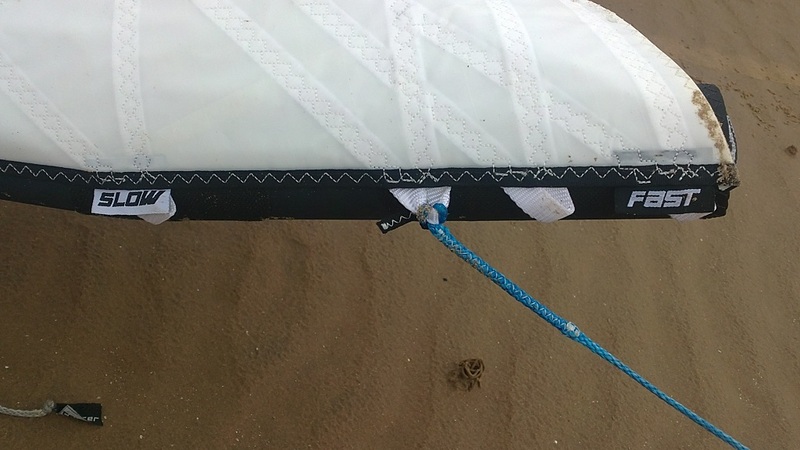 The depower line is plastic coated and the sheeting system is a small clam-cleat which works very effectively. The flying lines look very good quality and are quite thin in diameter, which will no-doubt reduce the line drag considerably and improve upwind performance. The Smoke can be released onto either front line giving ample provision for safety. Usually, when I have a 9m kite to test, there isn't a great deal of wind - giving me plenty of time to try it out on land and have a bit of a tinker; but on this occasion the wind was perfect, so I didn't hang around and soon headed straight to the water. The smoke feels very stable in the air, and generates some good pull when worked through the window. It turns well, has good feedback through the bar and solid bar pressure. The wide canopy of the Smoke generates a good deal of pull when dived through the window, and when placed at the edge of the window points upwind well. 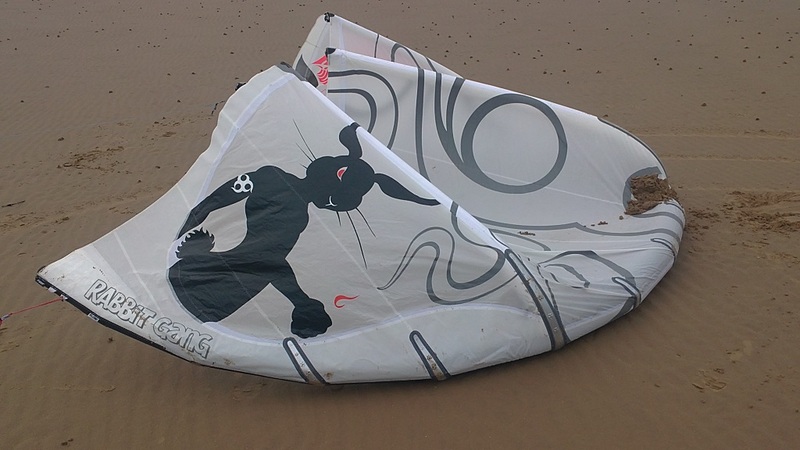 I found it to be a kite which I gelled with instantly; it turns quickly when you're positive with the bar, yet ignores small inputs - making it great for all levels of freestyle. It boosts well and is also generates a nice smooth pull when looped, recovering to the top of the window nicely for landing. The line swivel also works great every time which is one less thing to worry about. For unhooking its surprisingly good, it parks very nicely in the air, pops very well and there's enough feedback to please any wakestylers out there. It does a very good job of emulating the feel of a C kite, and when things go wrong you'll find the excellent relaunch a real asset. I didn't get the chance to test the top end of the kite, as the wind was pretty consistent when tested, but the depower seemed progressive, and I don't expect there to be any issues there. The Smoke is one of the best all-round kites I've ever had the pleasure of flying, and I cannot really fault it in any department. 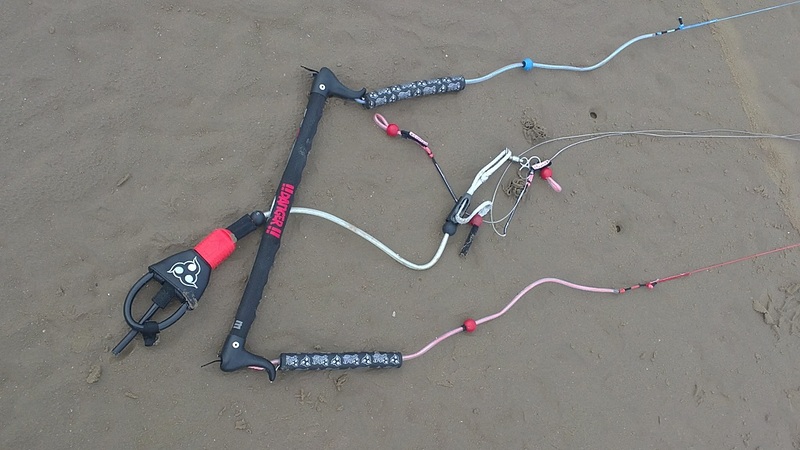 Sure, it cannot compete with a specialist kite on its own terms, but it's a kite which brings performance across the spectrum. It's no wonder that Wainman only do one model of kite - its clear that a lot of effort has gone into its development.